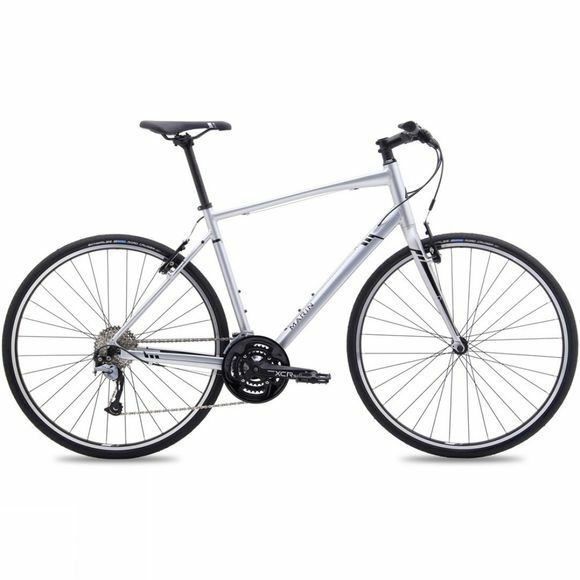 Take the comfortable upright ride position of an urban bike and the ability to transport your luggage effortlessly, combine that with the speed of a road bike, and the Fairfax SC2 from Marin is born. This outstanding commuter machine features a lightweight internally routed series 2 frame. It is made from lightweight hydroformed tubes and includes rack and fender eyelets so that you can attach winter essential mudguards to keep you safe from the spray on wetter days and a carrier rack, presenting plenty of opportunity for transporting luggage. Marin have paired this capable commuter bike with puncture resistant tyres so that you won’t get caught short on your travels. They feature a minimal tread pattern which offers increased control in wet weather or on rough roads, but will still allow the Fairfax SC2 to roll fast, getting you where you need to be on time and in perfect style.